With 50 years of experience in the design and manufacturing of diaphragm pumps and piston pumps for evacuating and pumping gases and vapours, we - hyco® Vakuumtechnik GmbH - offer a wide range products for a great variety of markets throughout the world. 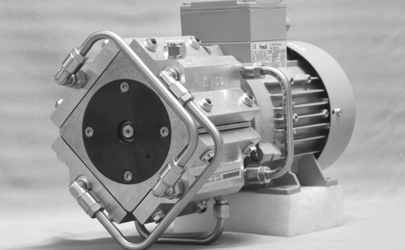 Our product portfolio encompasses diaphragm pumps and piston pumps with linear or piston drive, measuring gas pumps, laboratory pumps and individual special pumps designed to customer specifications. In total, our pump portfolio comprises over 40 product lines with sub-series and models for every application. In our main plant to the south of Munich, we have the best possible spatial conditions to design, develop and manufacture our pumps to match customer specifications. The development and manufacturing is carried out here with our own employees - Made in Germany. In doing so, the highest levels of quality, innovation and compliance with ecological criteria are our guiding principles. 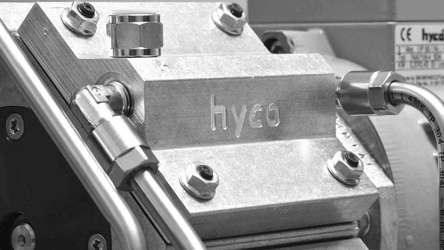 hyco® product lines effortlessly achieve the technical and commercial requirements for vacuum generation. As an innovative and well-established company with many years of experience, our close proximity to our customers and our continuously growing know-how, allow us to quickly fulfil our customers' wishes. In doing so, the use of the latest technologies and well-thought-out workflows along with optimised and efficient working processes guarantee a continuously high level of quality for our products. hyco Vakuumtechnik is your Premium Partner for pump technology - since 1968!